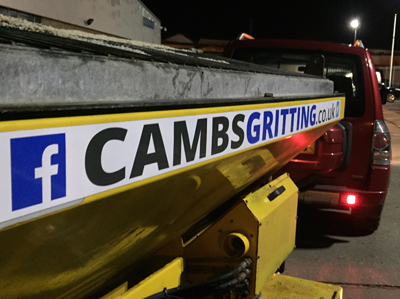 Our reliable and efficient 24 hour, 7 day a week Gritting Service to local businesses allows you to go worry-free through the winter months. 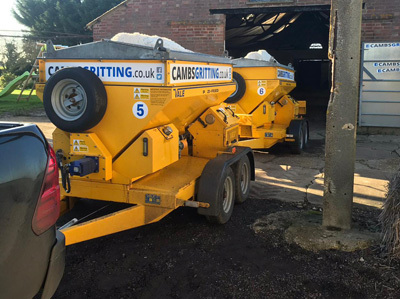 At Cambs Gritting we offer an efficient, reliable and competitive gritting service to local businesses throughout the winter months across Cambridgeshire. 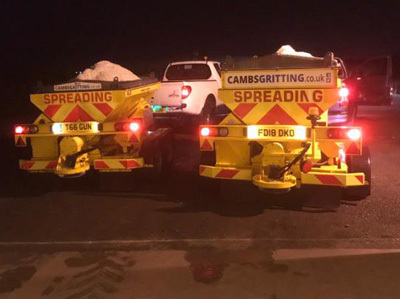 We run trailed gritters behind 4x4 vehicles, accurately applying salt to industrial estates, car parks, pathways, loading bays etc throughout the evening and night. Our robust equipment operated by our excellent teams on the ground enhances our service. 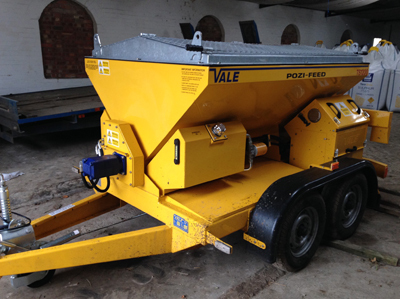 Our reliable and cost effective commercial gritting service ensures protection against ice and snow on your site. By using the leading weather forecasting available, Met Office OpenSite service, we leave nothing to chance, closely monitoring weather conditions on a daily basis and using only accurate and reliable weather and road surface temperature forecasts. 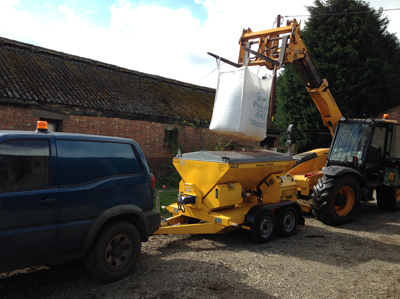 With our own salt depots in Peterborough, Huntingdon and Cambridge, we can act quickly and work without delays until the job is done. 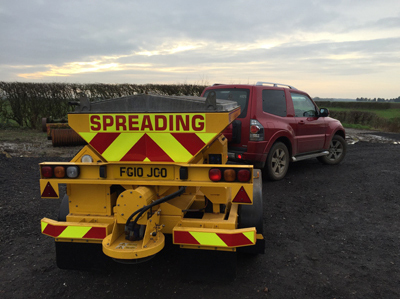 Our gritting fleet enables us to access each and every site whatever the conditions. 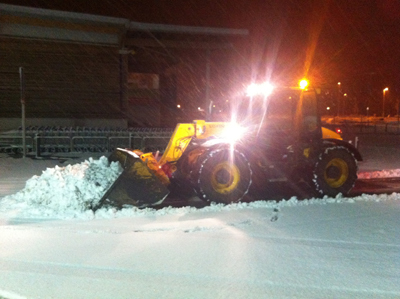 We are fully insured for commercial gritting and snow clearance and hold full public liability insurance. 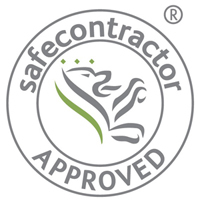 We are have been awarded SafeContractor accreditation for our commitment to achieving excellence in health and safety. We also offer a snow clearance service, which works alongside and compliments the gritting service after snow has settled on site. As part of a free site survey we will carry out a thorough site assessment and provide you with a tailor-made package to suit your budget and requirements. 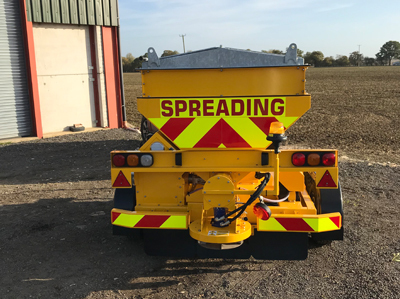 We provide commercial gritting and snow clearance services in Cambridgeshire, including Huntingdon, Peterborough, St Ives, St Neots, Ely and Cambridge as outlined on the map below. Please contact us if your site is outside this area as we may still be able to offer our gritting services to you.